It was back to the birds for our final day in Kent. 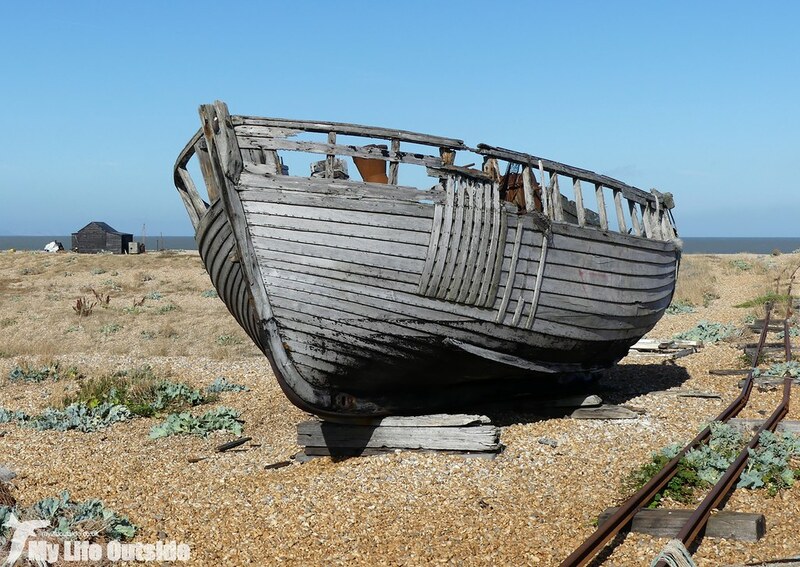 With Dungeness just down the road it would have been rude not to really and after hearing of the various successes my sister has had there over the years I was expecting great things. Her parting advice before we went our separate ways was to look carefully just inside the entrance gates as Tree Sparrows are often present, easily photographed from the car without causing a disturbance. Duly noted it was all eyes peeled as we pulled in yet there was not a single Sparrow to be seen. The reason soon became clear. 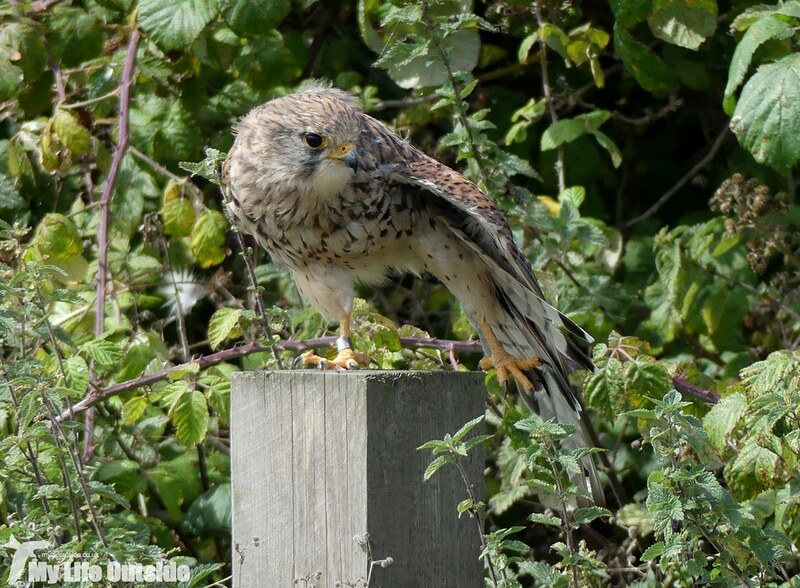 Sat on a nearby fence post was this stunning Kestrel, seemingly happy to split its time equally between eyeing up potential prey and soaking up some glorious mid-morning sunshine. Using the car as a mobile hide we were able to creep as close as I dared giving fantastic views. What an encounter. There was more to come as well. Leaving the Kestrel behind we were soon enjoying the sight of a soaring Marsh Harrier off in the distance followed by a couple of Mute Swans and what looked like a large Egret. Tantalisingly it dropped out of sight before I could get my bins onto it but things were looking distinctly promising, especially as we hadn't even officially arrived yet! It takes a couple of miles to reach the visitor centre and car park, all through a landscape which is like nothing else in the country. Imagine a desert but replace sand with shingle and you're probably heading in the right direction. For mile after mile it stretches, punctuated here and there by a lone tree or larger area of growth. Look a little further though and the first of several large lakes appears. Formed by gravel extraction these oases make up the main bird holding areas of the RSPB reserve and of these the largest is Burrowes Pit. Overlooked by a couple of hides it was to there we headed first, buoyed by the promise of a pair of Black Terns from the very friendly staff on duty. A quick scan of the area showed that we weren't going to hit the jackpot without a little patience so we instead focused on the impressive volume of waterfowl present. A couple of Little Grebes led to at least fourteen Great Crested Grebes before umpteen Tufted Ducks and a pleasing collection of at least twenty Pochard. We rarely get such large numbers of the latter back home these days it seems which is such a shame as they are one of my favourite duck species, losing out only to Gadwall of which a couple of birds in eclipse plumage were also present. Wader numbers were looking pretty good with a juvenile Ringed Plover soon joined by six Common Sandpipers, a couple of Redshank, two female Ruff and a scattering of Lapwing. At this point a pair of late Swift put in an appearance, my first for at least a month and most likely last until next Spring. Now there's a slightly depressing thought. No time to ponder though before a noisy group of Terns headed our way. Searching the group eagerly we could only pick out Common Terns but they gave a great display before alighting on a nearby island to continue their chattering. Interest continued in nearby vegetation with Whitethroat and Cetti's Warbler before the real stars of the day arrived. Distant at first but coming closer all the time was the first of the Black Terns, a juvenile by my reckoning yet still unmistakable. It did a couple of passes before settling on an area towards the back of the lake where it continued to fish avidly. The second Black Tern wasn't too far behind, easily distinguishable from the first thanks to an overall darker plumage. Cracking birds the pair. 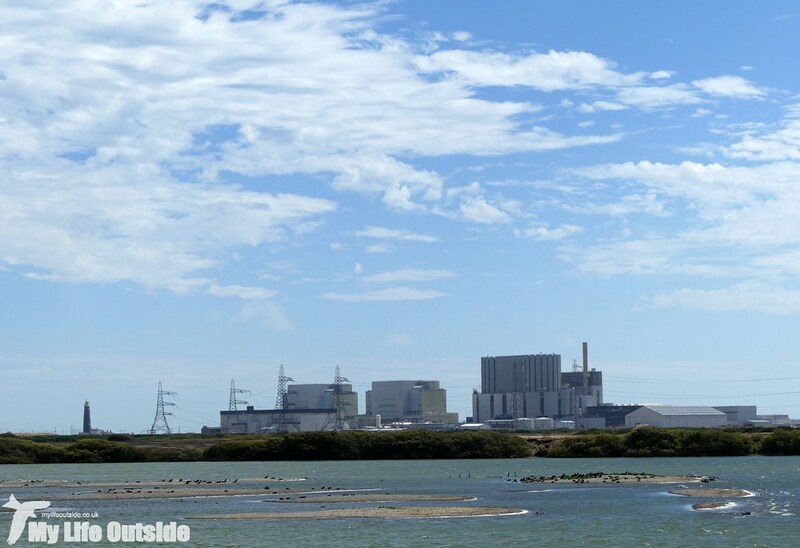 I should probably also mention at this point the backdrop to our sightings which included not one but two nuclear power stations. Not something you get to say every day. The rest of the nature trail took us through a series of pools and hides with similar sightings as already recorded but with a couple of significant additions. The first was a Great White Egret which we could just about see peaking out from behind some reeds, a position which didn't change until probably the moment after we'd left. 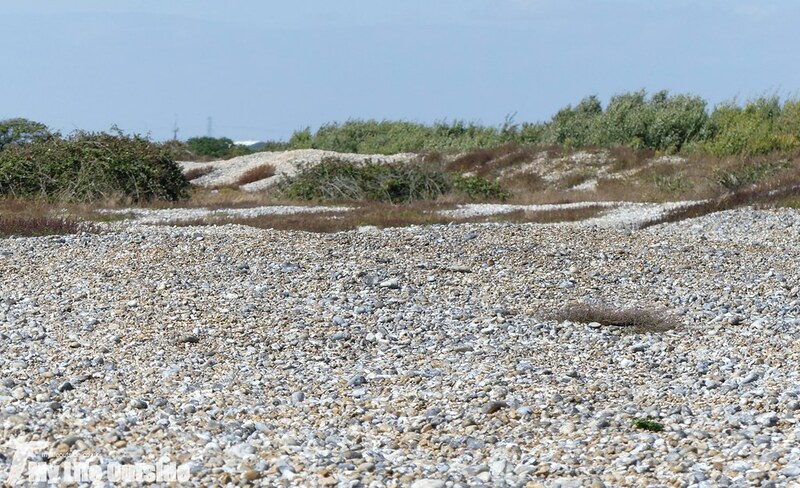 Over at the ARC pit we added another wader species with a lone Little Ringed Plover plus several Shoveller. They looked brilliant in the sunlight but remained too distant for a decent photo. Looking at the images in this post so far you may be forgiven for thinking that the weather was pretty much perfect. Almost, but not quite I'm afraid. There was a gale blowing in from across the channel which meant that hopes of continuing our butterfly education were going to be severely hampered. 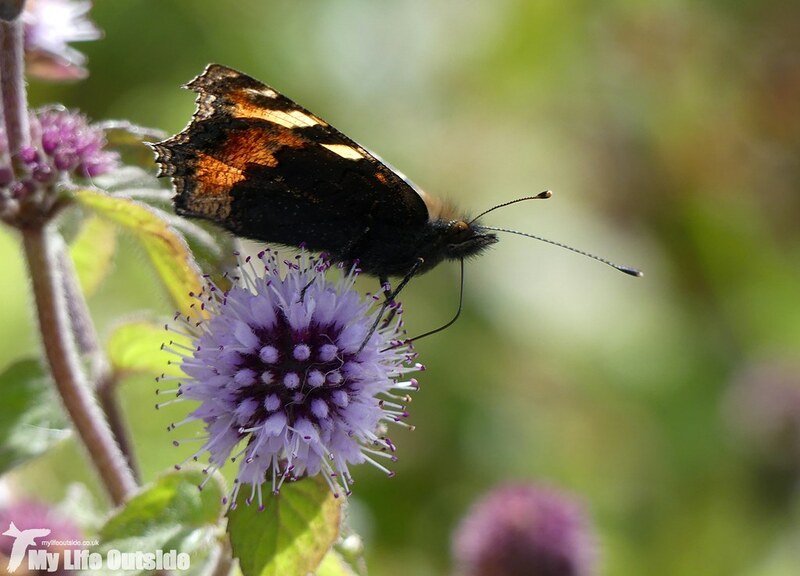 Despite conditions there were several individuals on the wing though including a couple of Small Tortoiseshells bravely holding on as well as this Small Copper. 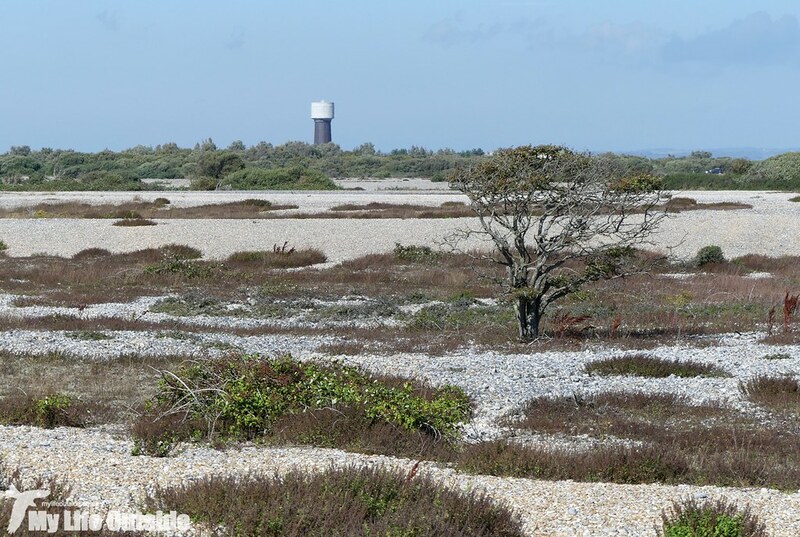 We really couldn't leave Dungeness without first visiting the hamlet of the same name, home to a stranger landscape than that in which we'd already been exploring. 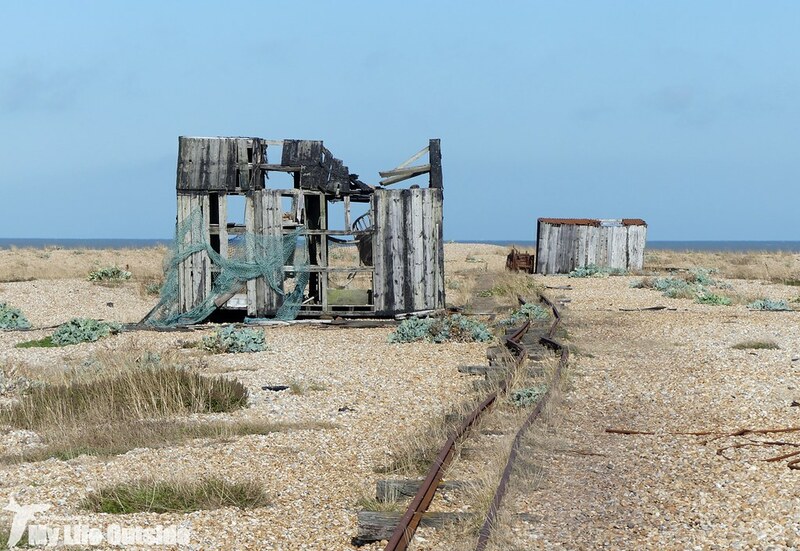 That may sound unlikely but nothing can prepare you for the scattered wooden houses along an exposed shingle foreshore, several made from old railway carriages and most in a state of decay. Stretching out before them lies a barren expanse covered in what one would normally class as rubbish. 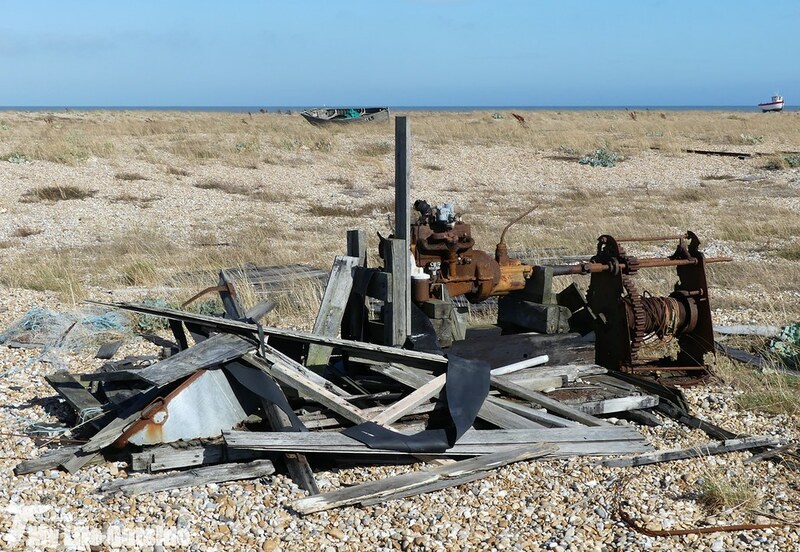 Discarded metal, old engines, even boats - legacy of a fishing industry long since past its prime. Look closer though and there is beauty and intrigue to be found. 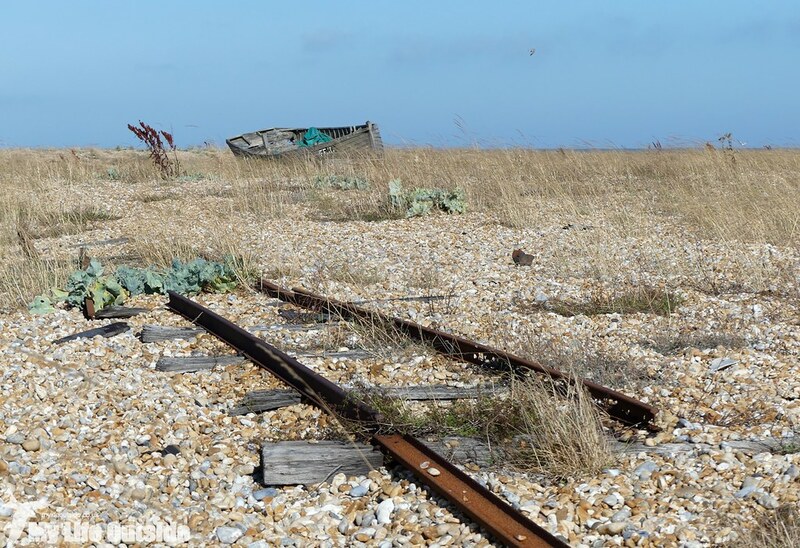 Abandoned narrow gauge railways abound, once used to bring the days catch back to be processed but now forgotten, slowly being reclaimed by shifting banks of shingle. The best of these leads to a large shed and wooden boat, a scene right out of the wild west and one so atmospheric that it's hard to put into words. It really was a case of just standing there open mouthed, trying to take it all in. Genuinely a unique place. I could have stayed there all afternoon picking through the debris but alas it was time to hit the road once more. Fortunately the M25 proved kind to us and we were back home in a smidgen under four hours, ready for out next adventure just two days later. Wow! 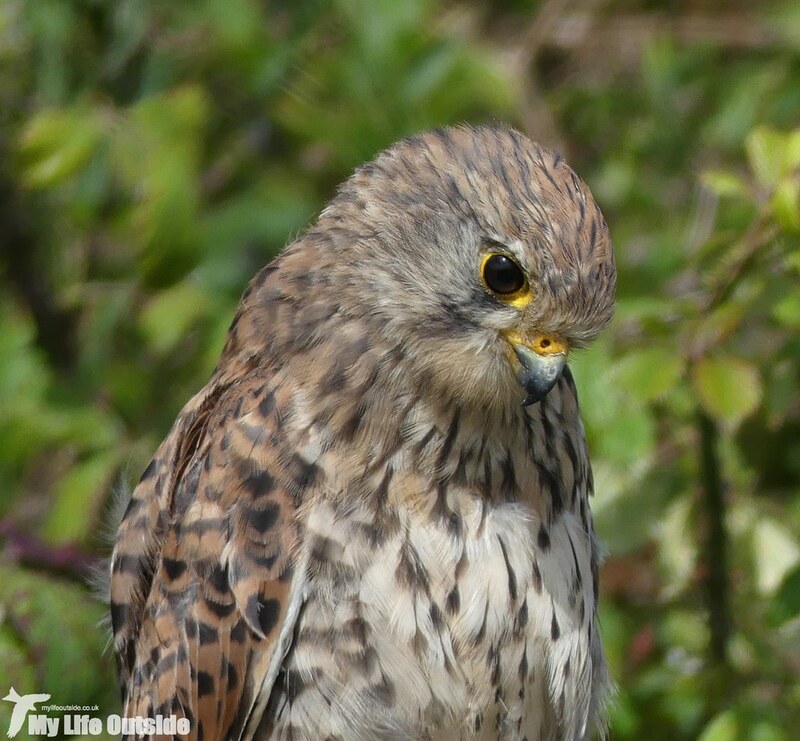 What an interesting read, with superb shots of the Kestrel. The first capture is absolutely stunning, and a better sighting than a tree sparrow any day of the week. 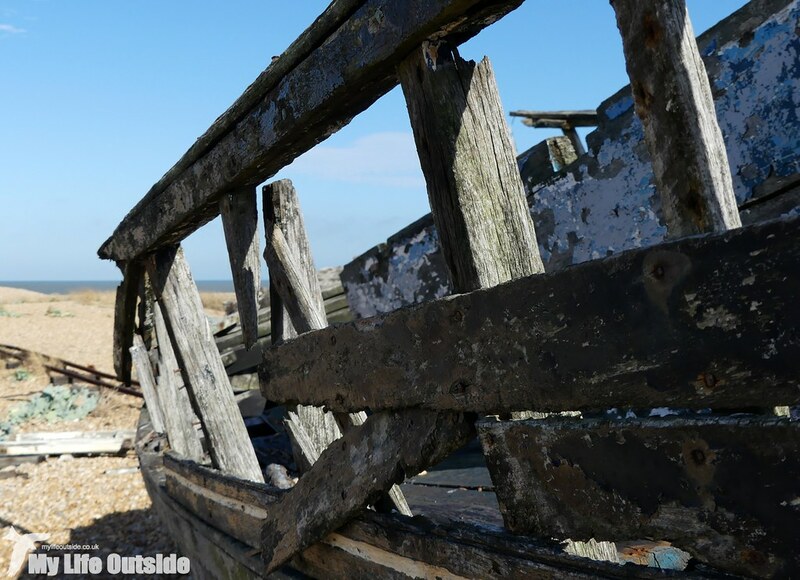 The discarded boats and metal are also of interest, especially in that kind of landscape. 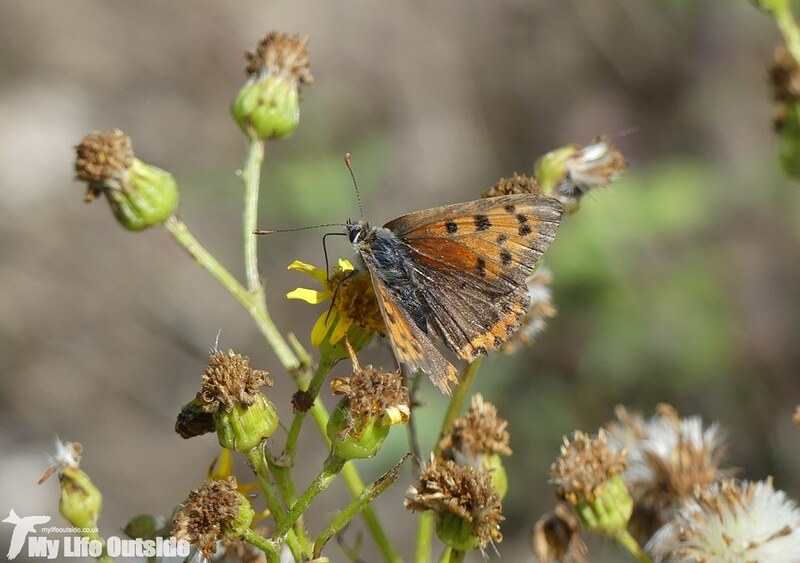 Nice butterfly images also.